On February 21, 2019, we celebrate the Mother’s 141st birth anniversary. The Mother’s room at Sri Aurobindo Ashram will be open for Darshan for devotees on that day. There will also be a collective meditation in the Ashram from 6:00 to 6:30 am. 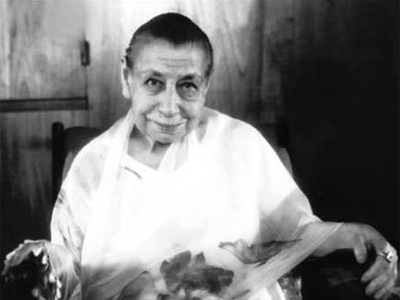 The Mother first met Sri Aurobindo in the year 1914. After their meeting, Sri Aurobindo said that he had never seen anywhere a self-surrender so absolute and unreserved as that of the Mother. After her final arrival at Pondicherry, Sri Aurobindo entrusted the Mother with full material and spiritual charge of the Ashram. Under her guidance, which continues, the Ashram has grown into a large, many-faceted spiritual community. Everything in the Ashram is her creation; every initiative draws inspiration from her and moves towards fulfilling her vision.